9 Commercial Real Estate & Properties in Runaway Bay are listed in 2 categories. We have 6 OfficesSale & Lease and 3 Hotels and LeisureSale & Lease . 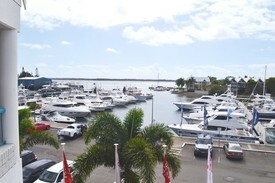 Ground Floor Office $2,000 + GST Per Month Gr..
Cheap Office At Runaway Bay Marina! $346 + GST Gross Per Week..
Quality Ground Floor Shop At Runaway Bay Marina $2,500 + GST Gross Per Mo..
79m2 Suite 3 located on the top floor on the marina side of the building. Great views. Asking rent is $29,000 + gst. 56m2 Ground level Shop 1B located on the north western corner of the building. Great street exposure. Asking rent is $30,000 + gst. 52m2 Suite 5 located on the top floor on the street side of the building. Asking rent is $18,000 +gst. Ground Floor Office With Stunning Water Views $385 + GST Per Week Gross..